Tia Torres is an American TV personality known for the reality TV series- Pit Bulls & Parolees on Animal Planet network. The passionate animal lover is also the founder of Villalobos Rescue Center. Torres was born into a middle-class family on June 11, 1960, in Southern California, United States. She grew up with her father and Step-mother with whom she had an inseparable relationship. While her step-mother was a disciplinarian who trained her as such, Torres recalls her father being softer in his upbringing style. Her romance with animals started from childhood. It was from bonding with her step-mother that she developed her inexplicable love for animals. From the innocent and common affection for horses as a little girl, Tia became an avid enthusiast in animal welfare. She went from taking care of horses to taking in stray cats, wolf dogs and much later in her life made a career in catering for Pit Bulls alongside other animals. According to her, her life so far has been shaped by the compassion and understanding she received from a wide range of animals. Thanks to the ideology of her step-mother whose name is not given yet, Tia Torres believes keeping pets is as much an honor as it is a prerogative. In her days as a child, she remembers acknowledging their animals and pets as members of their human household so much so that they were given immeasurable care and attention. In her words, “they were treated like royalties”. During Christmas season, for instance, priority was given to the animals. Before any consideration for dinners and gift openings, the family spent enormous time feeding, taking care of the animals and cleaning the horse stalls. At the age of seventeen, Torres who believes she has about 2 more lives to go left home in search of stray and endangered animals. It was a challenging task as she moved around with her pets. There were days when she had to sleep over in her van with them. Tia Torres became a member of a suit-wearing gang. With the violent nature of the group, she recalls escaping gunshots on some occasions. After that phase of her life, she trained and became a truck driver in the U.S Army. 6 years later, Tia channelled her efforts to not just saving animals but gangsters and parolees. Having lived on the rough path herself, she took up a job as a youth gang counselor in Los Angeles. During a visit to a Los Angeles Animal Shelter with her daughters, Tia had a fun and fateful experience with Tatanka, a Pit Bull who would not stop playing with her children. The dog lover went on and adopted the dog. This experience led to the establishment of the Villalobos Rescue Center for stray and abused dogs. “Villalobos” is a Spanish word which means “village of wolves”. Taking up this old time love once again, she admits it was utterly challenging. Through the establishment, Tia Torres championed the cause of rescuing dogs all over the United States. 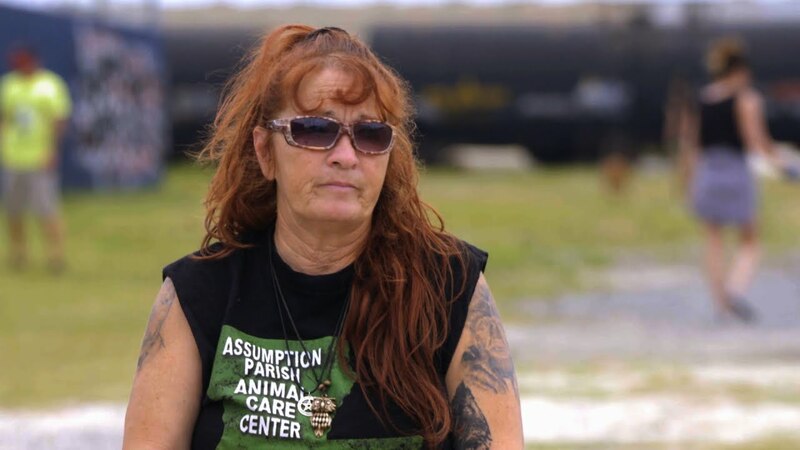 She is known as the leading and most successful Pit Bull rescuer in the country. Torres also organizes medical services, obedience classes and special seminars for training Pit Bulls. Fierce and fearless, Torres became a TV personality when she ran out of funds to operate her non-profit rescue centre. At the time, she had quite a lot on her plate. Torres struggled to take care of over 200 Pit Bulls, wild cats, several other animals, parolees and gangsters under her care; and of course her own children. After declining some big screen offers, the somewhat unusual personality yielded to the idea of televising her human and animal rescue mission. Thus the birth of her popular reality TV show Pit Bulls & Parolees. Tia Torres has worked on the adaptation of The Jungle Book called Mowgli’s Story where her expertise was needed in training wolves. Amongst other movies, she also featured as a black cat trainer in the Hollywood movie Sabrina the Teenage Witch. Kids, Who is The Husband? Tia Torres has 4 children. Two biological daughters- Tania and Mariah- and Two adopted twin sons- Kanani and Keli’l Chock. Tania, the older sister had a tough and troubled childhood. Dealing with the deaths of her father, half-brother and god-mother was too much of a pill for her to swallow. With the change in the family’s fortune, her life has become better. She now tours the world as an animal trainer, especially for film productions. Mariah, on the other hand, is the subtle animal lover and public speaker who has also contested in beauty pageantry shows. Typically, she is an advocate for animal rights and preaches against dog fighting. In time, she also intends to pursue a career in fashion design and also get a degree in criminal psychology. Mariah made friends with the Chock brothers back in school. The boys, Kanani and Keli’l would come over on weekends to work at the family’s ranch since they all shared a love for animals. From there they became adopted sons of Tia. Both boys who love extreme sports and biking are exceptional dog trainers and have also become stunt actors. Tia Torres has reportedly been married three times but the most recognized is her marriage to Aren Marcus Jackson. Their love story started in the 80s when they both started exchanging letters. Marcus was in prison for criminal charges at the time. After his release in 2006, the two were immediately married. However, Marcus was indicted again over allegations of vehicle theft. While it is speculated that he was abusive to Torres, it is also believed that they have kept up a good relationship despite the barrier. She is also believed to be dedicated to the cause of securing his release. Tia Torres may be a TV personality but never has she been accustomed to the glitz and glamorous lifestyle. A great chunk of what she earns goes into the running of her non-profit jobs. She is worth $300, 000.